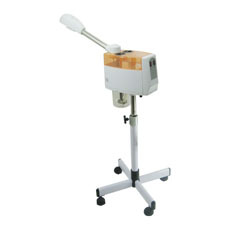 Facial Steamers Australia wide delivery - Capital Salon Supplies. Useful guide to cleaning your Salon Face Steamer. Mineral deposits can build up causing spitting (or dripping) and this will corrode the element. Follow the procedure below to correct this situation. 1. 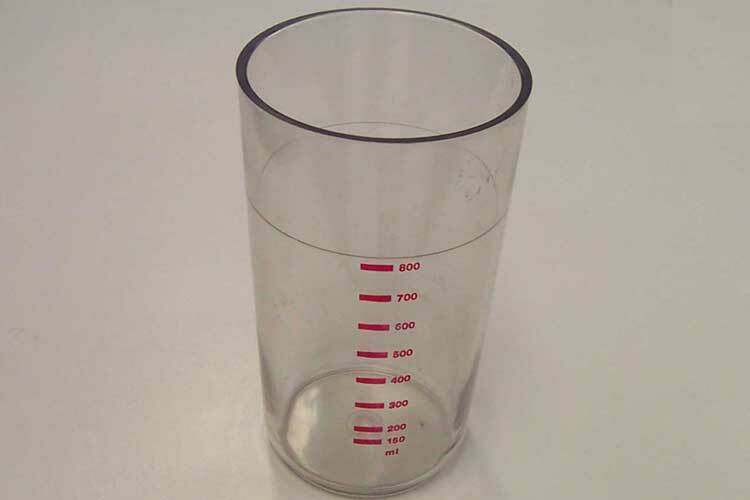 Add two Tablespoons of white vinegar into the empty glass jar. Then fill with water. 2. Turn on the unit and let it heat to steaming. Do not turn on the ozone. 3. Let the machine steam for 30 seconds. 4. 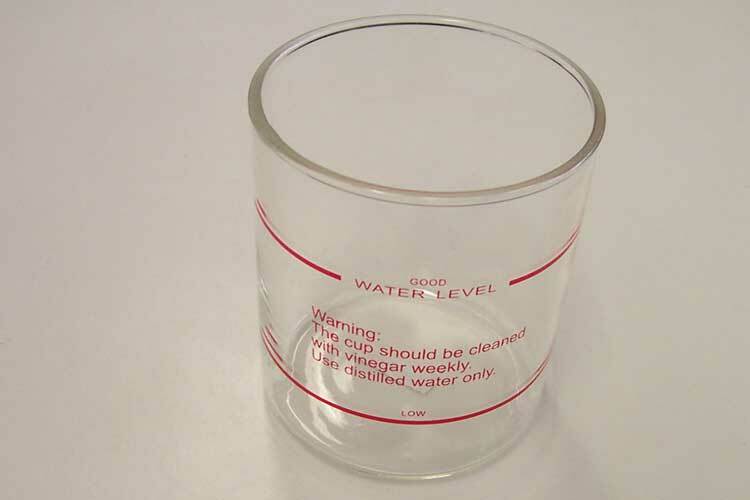 Turn off the unit and let the vinegar solution rest in the jar for 15 minutes. 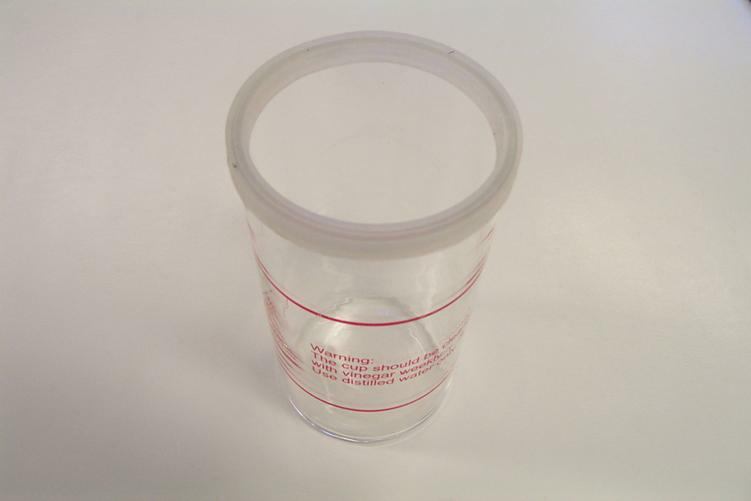 Because vinegar has a pungent smell, perform this cleaning process when no clients are present. 5. Drain the unit completely and then refill with water. Again let the unit heat to steaming and operate for approximately 10 minutes. If there is still an odour, drain the unit and repeat the process. 6. 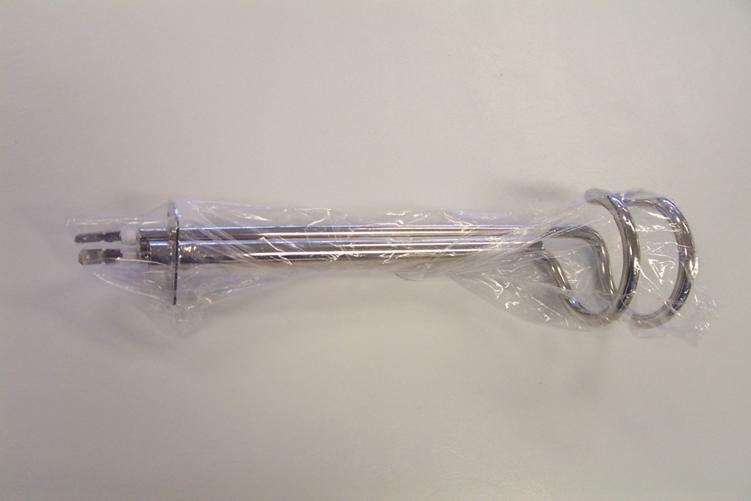 Do not allow the caustic vinegar and water solution to sit on the heating element without steaming immediately. If left overnight, it will totally corrode the copper coils. 7. Your Facial steam machine should be trouble free if you follow this cleaning procedure once a week. 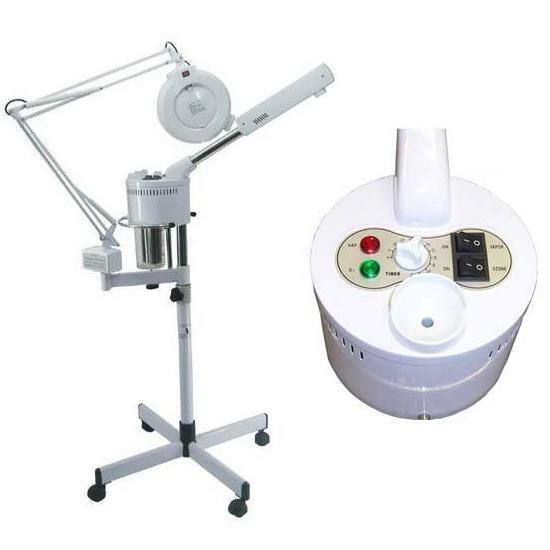 Features: Small table top portable Facial Steamer with ozone. Height including multi directional arm is 38 cm. Has separate steam and ozone controls. Features: Separate steam and ozone controls. 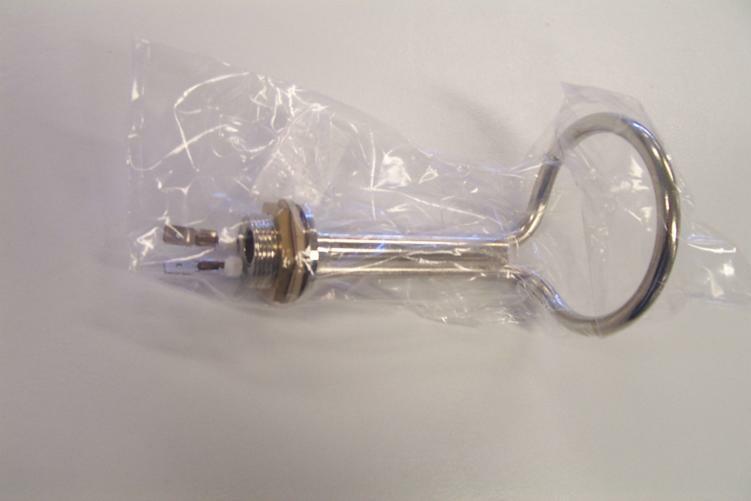 Plastic body to reduce rust. Metal base and feet. Height can be adjusted. Features: Separate steam and ozone controls. Plastic body to reduce rust. Height can be varied plus multi directional arm and variable steam flow. Sorry this unit is out of stock. 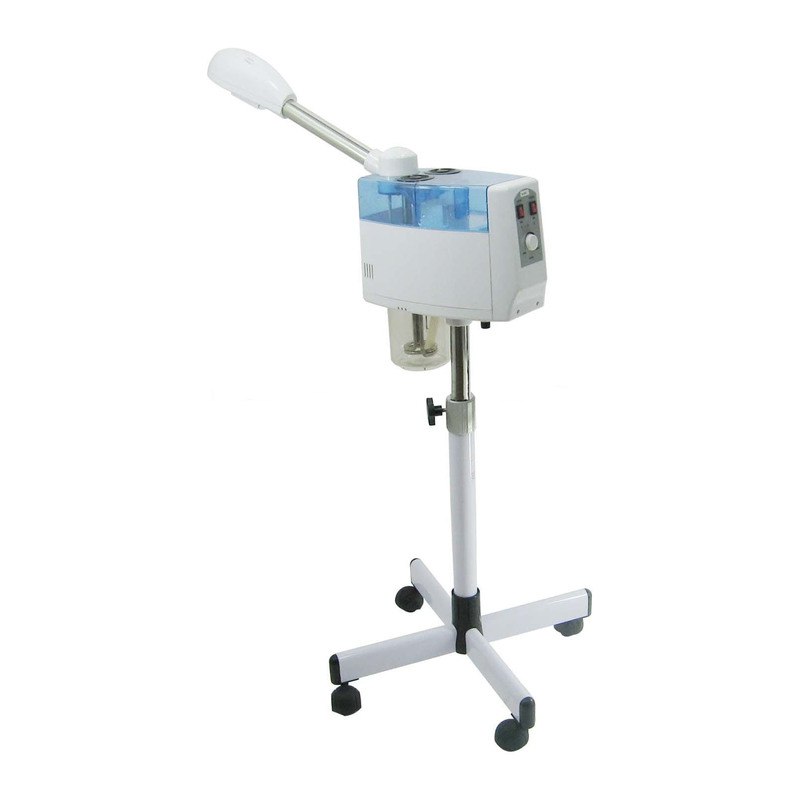 Our best selling Facial Steamer (#CAPH060). Features: Split steam and ozone controls. 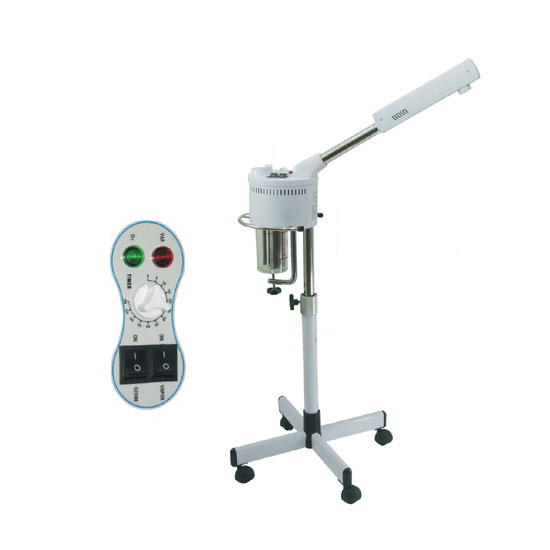 This model possesses a timer (with no bell) and multi directional arm. Great for Salon Face treatments and our best selling Beauty Steamer for Facials. Vapozone unit with manual controls (#CAPH020). 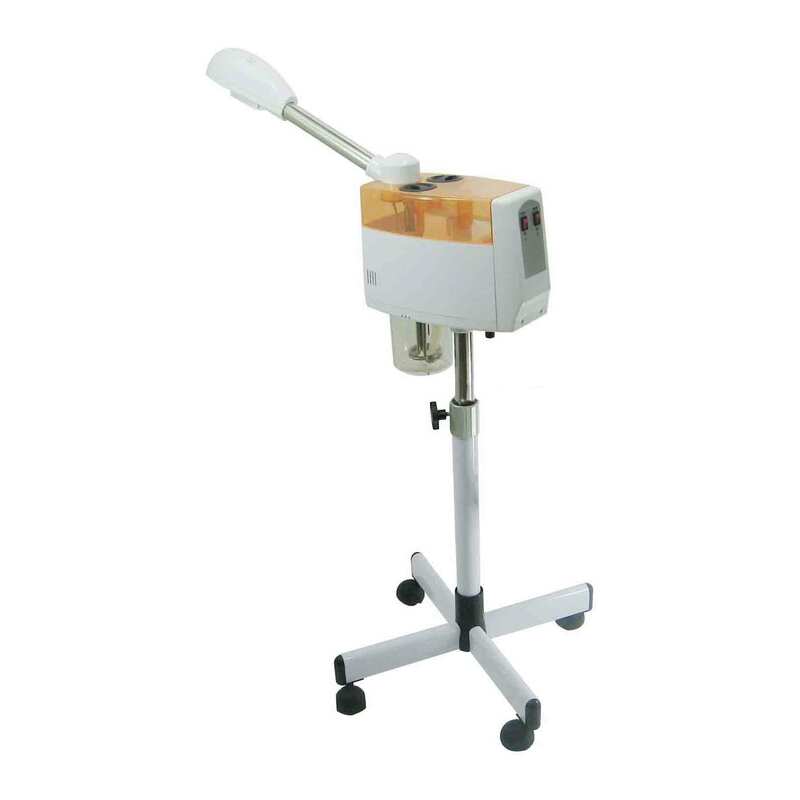 Features: Heavy duty model with manual control panel. Separate steam and ozone controls. Adjustable arm height and unit height. Multi directional arm. Timer (up to 60 mins). 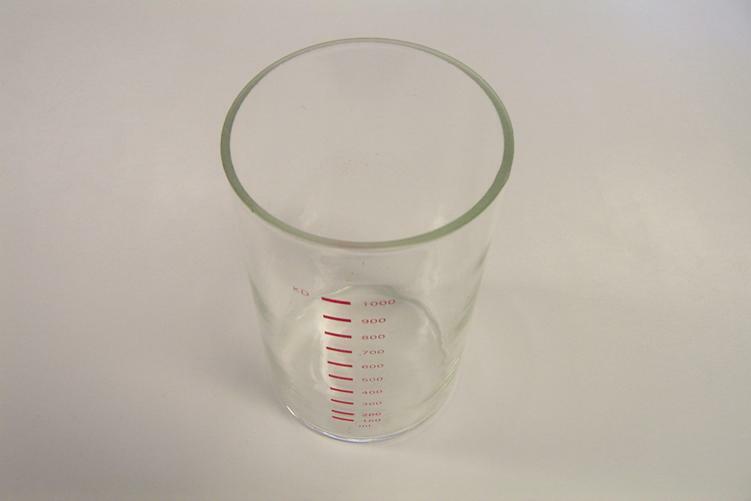 Large 1200 ml glass water jar. 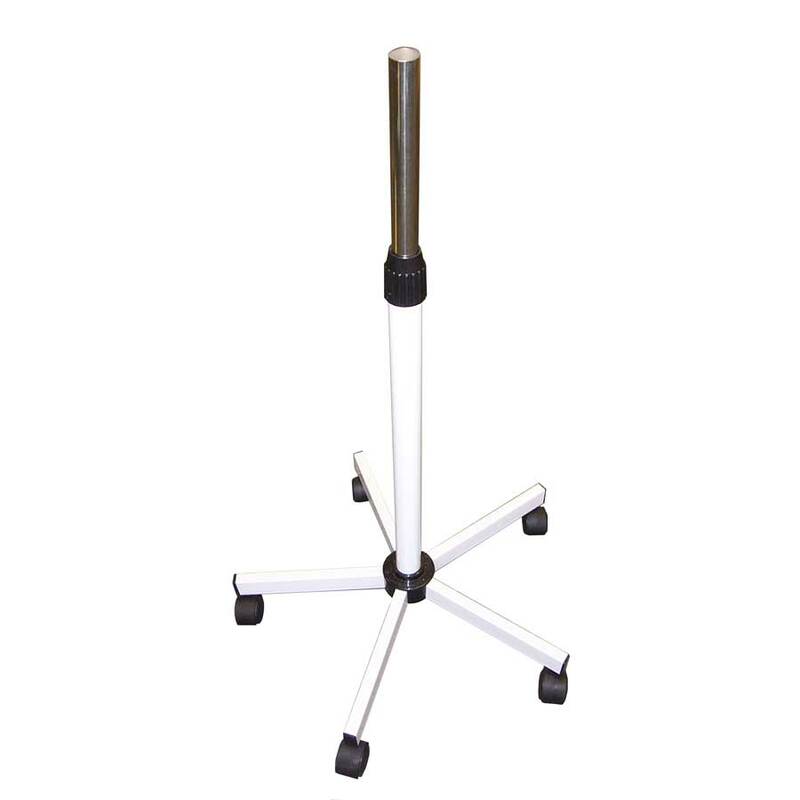 Foot base is 68 cm wide for more stability. For the busy Salon. Price: $495 (incl GST). Features: Digital control panel. Heavy duty model has separate steam and ozone controls. Adjustable arm height and unit height. Multi directional arm and adjustable steam flow. 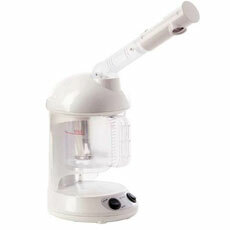 2 in 1 Facial Steamer and Magnifying Lamp (#CAPH019). 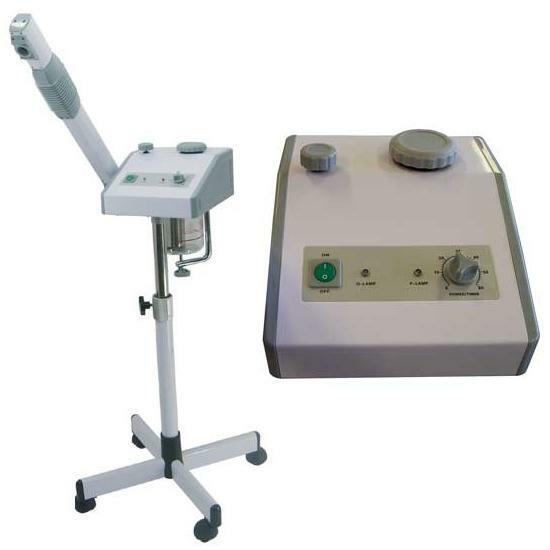 Features: This professional Facial Steamer is height adjustable with separate steam and ozone switches plus timer (up to 60 mins). 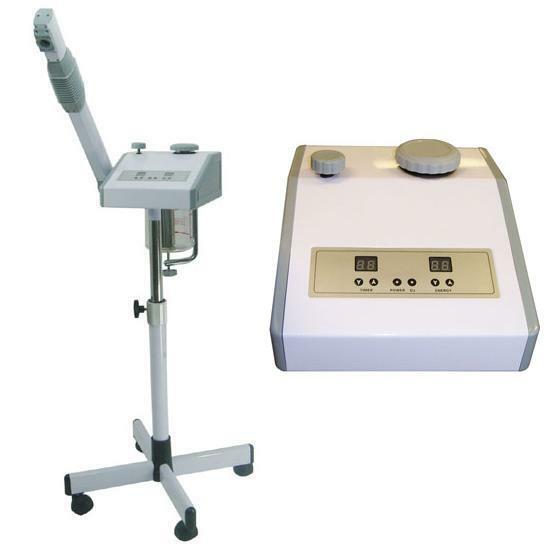 A larger foot base is provided to support both the Face Steamer and Magnifying Lamp as one unit throughout the Facial. Suits where space is at a premium. Price: $495 (incl GST). Note: All our Salon Equipment above uses standard Australian 3 prong Electric plugs. All have a 12 months return to base warranty. 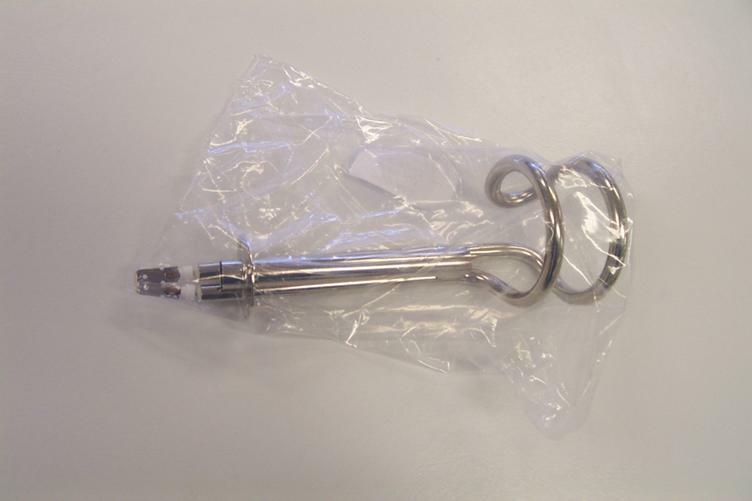 Deliveries can be arranged to anywhere in Australia.